Many of our partners have been on the TLAF Radio show. Click here to listen to the past shows. Why should you contribute to the Trust? Because Terry has put a huge amount of personal money into this case and now has lost everything. His actions, and future actions continue to keep this critical issue. of Obama's constitutional eligibility in the public square. Click here to contribute. Commander Kerchner has provided a daily dose of news intended to keep the issue of eligibility in the public light. A resident of the State of Pennsylvania, Commander Kerchner served 33 years in the U.S. Naval Reserves as both a Commissioned Officer and an Enlisted person. He enlisted with the U.S. Naval Reserve in 1962 as an E-1. He served two years of active duty as an enlisted person, after which he returned to the U.S. Naval Reserves serving with various drilling select reserve units. As a drilling member of the U.S. Naval Reserves, he was advanced at various times until reaching the rank of Chief Petty Officer (E-7) in 1970. In 1976 he was commissioned as a U.S. Naval Reserve Officer and was appointed as an Ensign (O-1), serving as a Commissioned Officer for 19 years. He was promoted to the rank of a full Commander (O-5) in 1992. He served annually on active duty for training and drilled with various reserve units until he retired in 1995. During his career, he served on numerous types of ships such as aircraft carriers, destroyers, repair ships, salvage ships, and patrol craft. In addition to his military service, Commander Kerchner holds a B.S. in Electrical Engineering and a B.A. in Economics from Lafayette College. 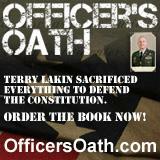 Commander Kerchner took a solemn oath to support and defend the Constitution of the United States and feels it is his duty to support and defend the United States Constitution pursuant to that oath. 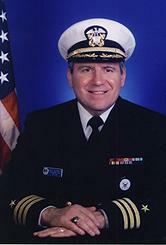 Commander Kerchner and the other plaintiffs on his case maintain in the Twelve Counts in their lawsuit that the putative president, Barack Hussein Obama, is not a "natural born Citizen" as required by Article II, Section 1, clause 5 of the U. S. Constitution and that no one in the election process, including the U.S. Congress which had a duty to investigate the charges against Obama's eligibility (as they did for similar charges against McCain) has fully investigated Obama's hidden and sealed original records as to his early life and have not vetted Obama's Article II eligibility to constitutional standards.